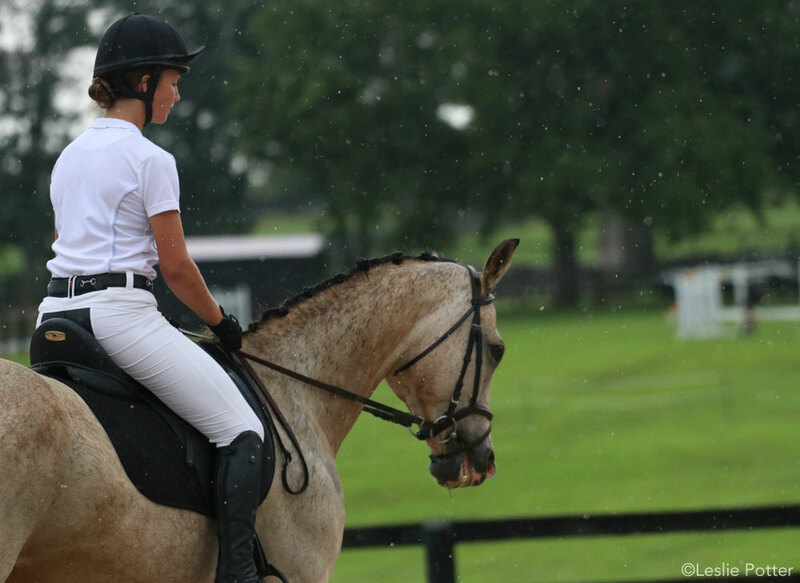 Advice for riding your horse during rainy weather. 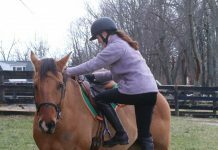 Q: I don’t have an indoor arena but still want to ride when it is wet out. Is it safe, and do you have any tips? A: It’s no fun when Mother Nature interferes with your riding. Riding in the rain is not ideal, but there are times when you might find yourself caught in a scattered shower. Wet weather also makes a mess of the footing. Here are a few precautions for riding during the rainy season. First, you’ll want to pay attention to the footing. If you have an all-weather arena, chances are you’ll be OK. However, if you’re riding in the grass, you’ll have to be more careful. Muddy spots get slippery in the rain. Be careful with your turns, and pick another day to practice jumping. Also remember that while the ground may look fine now, riding on soggy ground can affect the footing for months to come. Your horse will leave hoofprints in the mud, and sometimes these can take a long time to even out. If your leather tack gets soaked, be sure to let it dry completely in a well-ventilated area so it doesn’t get moldy. Then give it a good cleaning and conditioning. You may want to consider a good rain jacket for yourself. Lots of your favorite equestrian brands sell long riding rain jackets that will keep you dry and help cover your saddle. Traditional rain gear like plastic raincoats that crackle and rustle can be spooky to horses. While some horses don’t seem to care about wet weather, others might act up when it’s both rainy and cold or have a hard time staying focused. Horses that have been cooped up in the barn due to bad weather also might be feeling frisky. Most importantly, safety comes first. If there’s thunder and lightning, put off riding for another day. If you’re worried about the footing or it’s extra windy and your horse is spooking at the “monsters” flapping in the wind, use your best judgment as to when to call it quits and give your horse some extra unmounted cuddles instead.